Dave Frankel and Zipeng Zhu, designers. 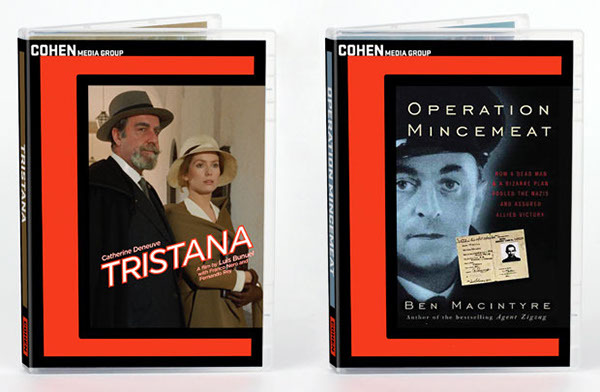 The new Cohen brand identity appears on DVD packaging for the company's films. World cinema has a new champion in Cohen Media Group, a new theatrical production and distribution company specializing in independent and foreign language films. CMG has produced and distributed an ambitious slate of films in the past few years, including the Academy Award nominees “Frozen River” and “Outside the Law”; Luc Besson’s acclaimed biopic of Aung San Suu Kyi, “The Lady”; and current releases“Farewell, My Queen” and “The Awakening,” the latter of which opened this past weekend. Pentagram’s Paula Scher has designed a bold, contemporary brand identity for the company and a distinctive system of packaging graphics for its DVDs. 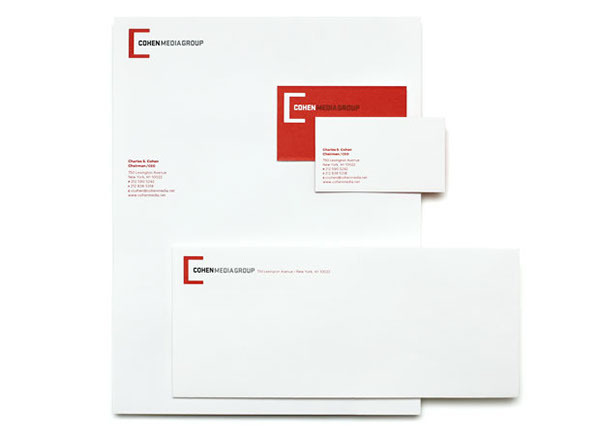 Scher worked closely with CMG founder Charles S. Cohen on the development of the identity. In addition to film, Cohen is passionate about design: As part of Cohen Brothers Realty, he owns landmark design properties including the Decoration & Design Building in New York and the Pacific Design Center in Los Angeles. Animated version of the logo. Movies are composed of a series of frames, and the Cohen identity transforms the letter “C” into a graphic frame that sets off and encapsulates images from the company’s films. The “C” provides a strong, cohesive branding element that ties together the DVD packaging and marketing. On the covers of DVD cases, the frame surrounds the movie posters or artwork, and the lines of the frame extend to the insides of the cases and edges of booklets. The Cohen logotype is set in a custom typeface that complements the rectilinear nature of the identity. An animated version of the Cohen logo was developed for use as a bumper before films, and the Cohen “C” appears in DVD menus, advertising and other collateral. Scher previously designed another “C” film identity—this one a circular “C”—for the Criterion Collection. 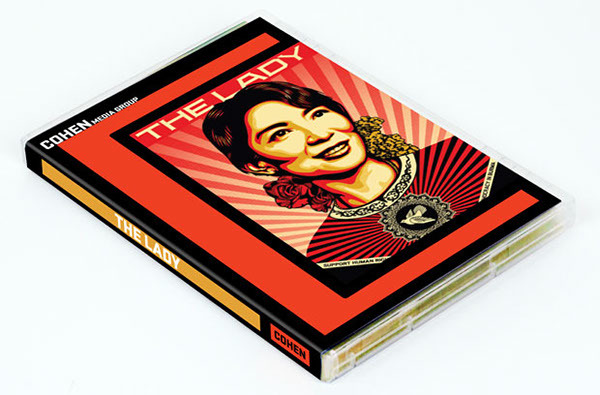 On DVD packaging, the "C" acts as a frame that sets off the movie artwork, here the film's poster designed by Shepard Fairey. The line of the "C" extends into the edges of the DVD booklets and case interiors. 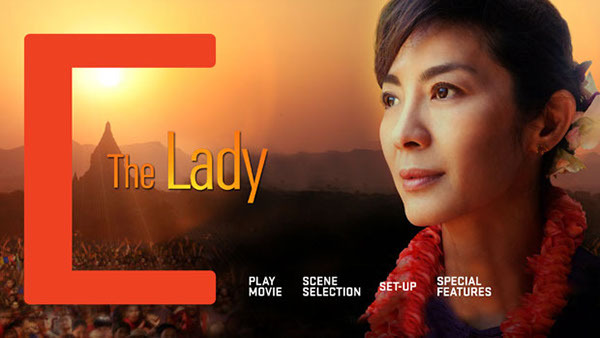 Blu-ray DVD menu for "The Lady." The "C" branding is integrated into the chapter menu. World cinema has a new champion in Cohen Media Group, a new theatrical production and distribution company specializing in independent and foreign language films. 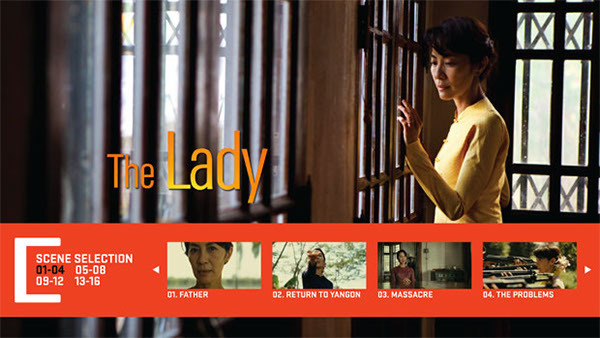 CMG has produced and distributed an ambitious slate of films in the past few years, including the Academy Award nominees “Frozen River” and “Outside the Law”; Luc Besson’s acclaimed biopic of Aung San Suu Kyi, “The Lady”; and current releases “Farewell, My Queen” and “The Awakening,” the latter of which opened this past weekend. Pentagram’s Paula Scher has designed a bold, contemporary brand identity for the company and a distinctive system of packaging graphics for its DVDs. Scher worked closely with CMG founder Charles S. Cohen on the development of the identity. In addition to film, Cohen is passionate about design: As part of Cohen Brothers Realty, he owns landmark design properties including the Decoration & Design Building in New York and the Pacific Design Center in Los Angeles. Movies are composed of a series of frames, and the Cohen identity transforms the letter “C” into a graphic frame that sets off and encapsulates images from the company’s films. The “C” provides a strong, cohesive branding element that ties together the DVD packaging and marketing. On the covers of DVD cases, the frame surrounds the movie posters or artwork, and the lines of the frame extend to the insides of the cases and edges of booklets. The Cohen logotype is set in a custom typeface that complements the rectilinear nature of the identity. An animated version of the Cohen logo was developed for use as a bumper before films, and the Cohen “C” appears in DVD menus, advertising and other collateral. Scher previously designed another “C” film identity—this one a circular “C”—for the Criterion Collection.